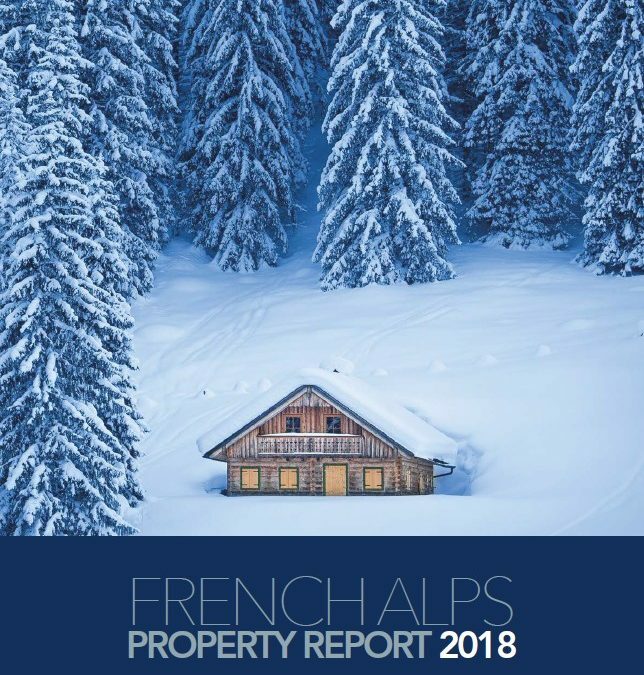 The French Pyrenees have received regular fresh snow top-ups over the last two weeks building on an already excellent snow base setting them up for excellent conditions for their final few weeks of the season and spring events. These excellent spacious apartments are in the centre of the Pyrenean village of Saint Lary Soulan in the Hautes-Pyrenees. Sensoria, the resorts thermal baths are just a short walk away through the garden of the residence. The main gondola up to the skiing at Pla d’Adet and beyond is a 100m from the Residence. St Lary has a lovely collection of shops and restaurants with plenty of Spanish influence in the local tapas bars lining the streets. Ax les Thermes in the Ariege region of the French Pyrenees, just 1.5 hrs from Toulouse is an historic village based around its thermal waters. Guests can visit the Bains du Couloubret spa or soak their feet in the thermal open air foot spa at the base of the gondola. Ski Ax 3 Domaines with its three sectors, Bonascre, Saquet and Campels and skiing from 1400m up to 2400m. Over the closing Easter weekend March 31 and April 1st, a Snow Bike festival closes the season with MTB/Dirt bikes, enduro and races for all ages. The Residence Baleno Aladin has a great location in the centre of Cauterets, 100m from the gondola taking skiers straight up to the ski area and 150m from the resort spa centre. Guests have free access to the Espace Balnéo Aladin spa centre which covers 800m² and includes 5 pools heated to 32° with water jets and hot tubs, steam room and sauna. Children from 3 to 13 years have a 3-storey play structure, games consoles, a mini cinema and a relaxation area for parents. Grand Tourmalet is made up of the two villages Bareges and La Mongie with the largest ski area in the French Pyrenees. La Mongie is ski in-out with the cable car access to Pic du Midi and Bareges and old French town with tree lined skiing from the Tournaboup area. Both areas have spas using the local thermal waters. Peyragudes is a modern ski resort with ski in ski out accommodation perched on the side of the mountain in the Hautes-Pyrenees region of the French Pyrenees. Guests can enjoy an indoor pool at the Les Adrets de Peyragudes residence or take a short drive/transfer down to the village of Loudenvielle where they can enjoy the Balnea spa. 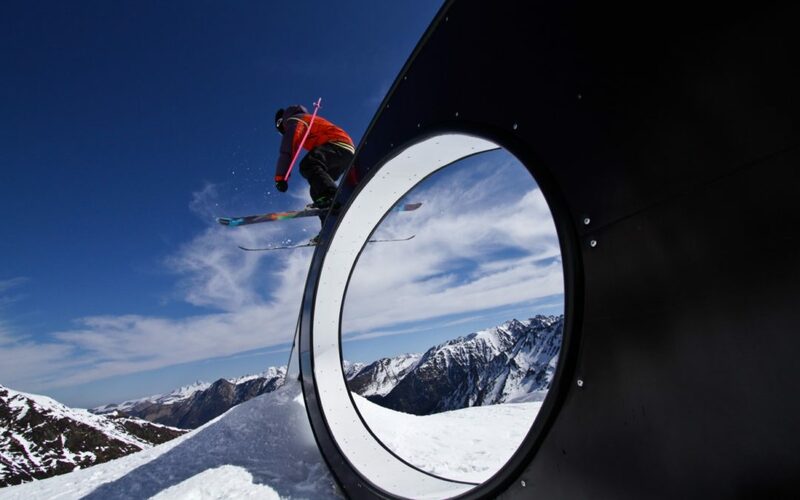 The French Snowboard Championships weekend takes place over the closing Easter weekend. Les Angles is offering 30% off lift passes booked from 17 March to the end of the season. 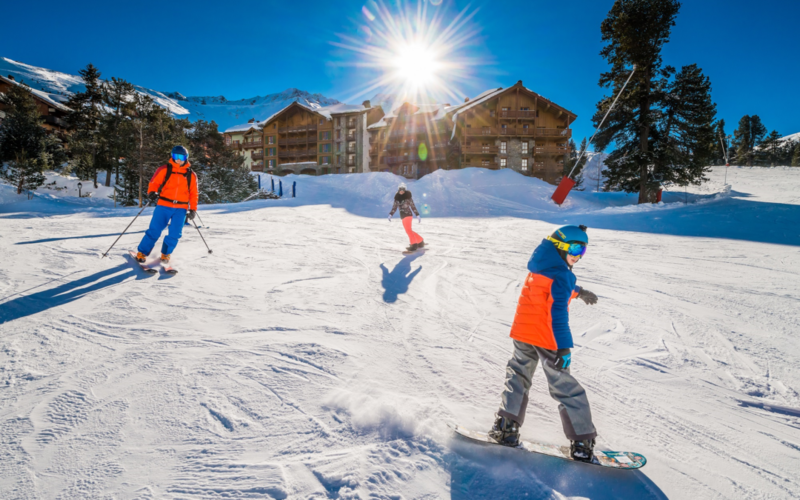 Les Angles old village Is at the foot of the slopes, and it has managed to retain its authentic character whilst at the same time providing facilities of a modern ski resort. It is the only resort in the Pyrenees where the ski slopes end in the old village itself. The ski area has 55km with an altitude drop of 800m. With skiing up to 2,400m it is one of the largest ski areas in the Pyrenees-Orientales. 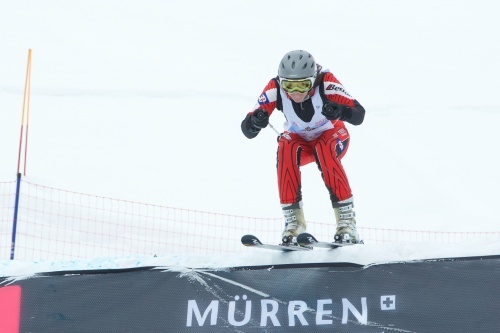 300 amateur and professional freestyle riders descend on Cauterets for the closing weekend. The Oakley snowpark at the foot of the ski area will be open for photos and video shoots to get the best of the action from the event. 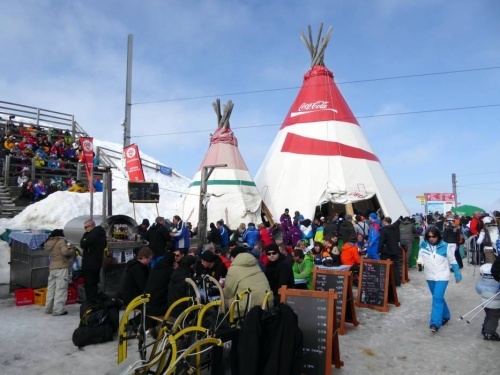 DJs are on site and the “Winter Closing” party is held in Cauterets village at the Royalty Café. Cauterets spring information can be found at http://blog.cauterets.com/ski-de-printemps-a-cauterets/ including ‘Free skiing for children’ between 8 and 21 April (with an adult lift pass). My visit was a family visit. 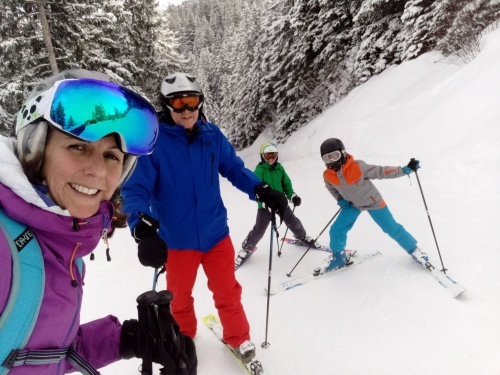 A return to a resort I have been to many times but not with my family for a couple of years – like many Wengen regulars we were lured back by its enduring appeal for families. My dad, now 72, wanted another ski with his grandchildren before his various ailments curtail his skiing. One young one, a couple of ‘tweens’ and one teen, along with my father “grandad”, whose own health has been a bit suspect of late. Tired legs – young and old – can come down from the mountains by train or cable car. Teens can hoon around the circuit from the Mannlichen to Kleine Scheidegg and speed down the Lauberhorn back to the village. 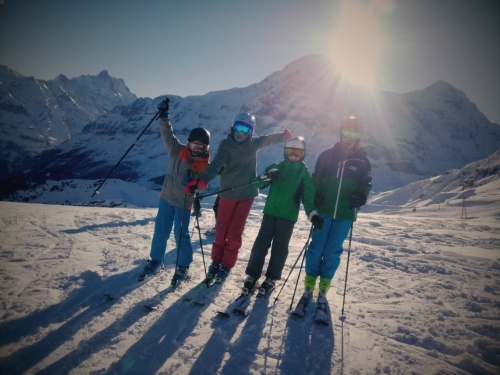 The teen found some fellow skiing teens who he has met before in Wengen = happy teen! Grandad liked to have a regular break at lunchtime in the sunshine when it appeared or was happy to latch on to a random group over a bowl of soup at ‘the station restaurant’ at Kleine Schiedegg. 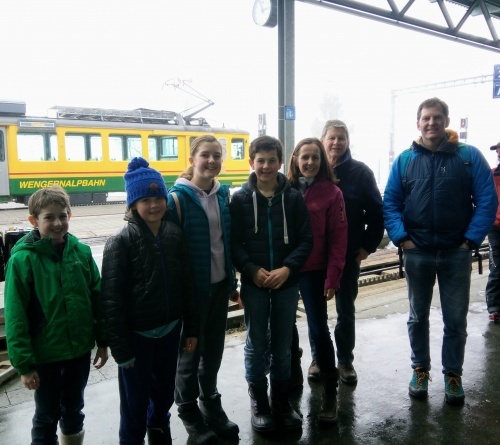 Mobile phones make it even easier these days to connect with everyone but the joy of Wengen is the accessibility of its slopes using the excellent trains. Plus the stand out wigwam – an easy meeting point come rain or shine (and we had both!). 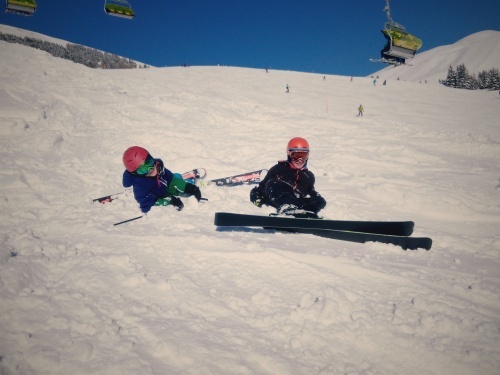 If you want to ski back to the village base, there are options to suit all abilities and on our final full day in the sunshine all the grandchildren made it down the famous 4.5km Lauberhorn Downhill run, a proud moment! Despite it being half term, we avoided the cable car queues in the morning with early starts. Not once did we queue at Grindelwald for a bubble or return train up the mountain. The blue run through the trees to ‘Brandegg’ and all the way down became a favourite for all ages, younger legs darting in and out of the bumps and paths in amongst the woods and snow banks and the older less flexible legs finding the smooth path between the woods easy to turn on. There are a few ski resorts which work well for mixed ability and mixed age groups but none that I have been to, make it as easy as Wengen. 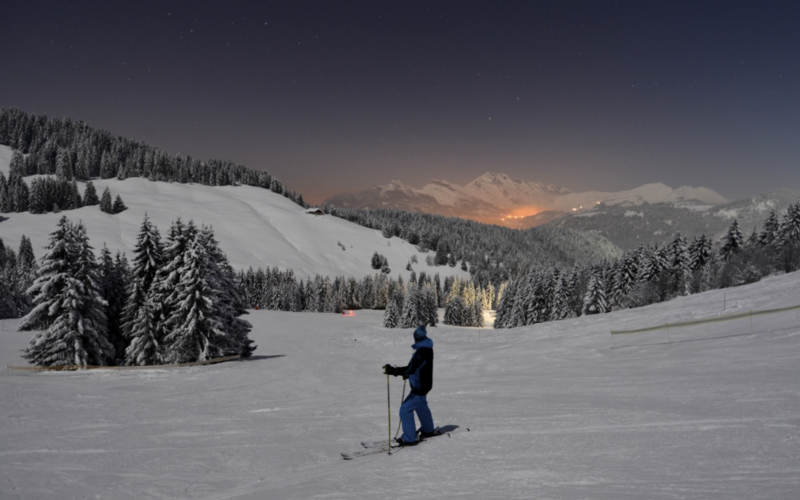 This weekend and next month skiers can party under the Super Blue Moon! Celebrating it’s 15th Year – The Full Moon Party in La Clusaz in Annecy Mountains kicks off with Djs and bands playing in the bars and restaurants of La Clusaz in the Crêt du Merle and Beauregard sectors. The resort stays open both Saturdays, 3rd February and 3rd March from 9pm to 1am. The 4 locations on the le Crêt du Merle area hosting parties are: Chez Arthur; Chalet des Praz, La Ferme and le Salto. It was first organised by a group of ski-crazy brits in 1928, & today it’s the world’d largest amateur ski race. PlanetSKI partakes. Regular readers will know I’m no virgin Inferno racer. Bbut this year I am taking part in the Inferno as part of the Super 3, the Inferno Is the second race in a series of three amateur ski races that take place across Switzerland. The pretty village of Mürren, in the Jungfrau Region, is the Inferno host resort offering stunning views over to the Eiger, spotted only once when the weather cleared. There are fewer than 200 of the maximum 1850 Inferno entrants taking part in the Super 3 and it was great to see some familiar faces from last weekend’s visit to Belalp and the Hexe race – Postcard from Belalp / Hexe Race. With oodles of snow we were looking forward to skiing a full course but strangely, whereas in Belalp we’d had the total 12km course, here in Mürren, rain had battered the lower slopes. 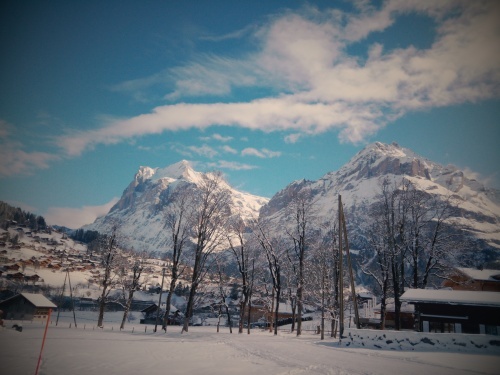 So the switch back section of the course down to Lauterbrunnen was clearly not skiable. 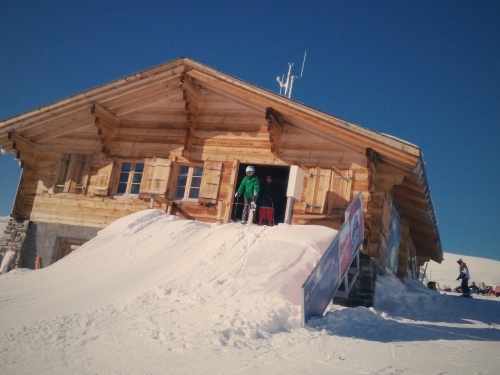 Arriving to huge snowfalls mid last week, and then violent winds gusting through the area whilst skiing on Thursday, we had a feeling that the top section of the resort would not be open. 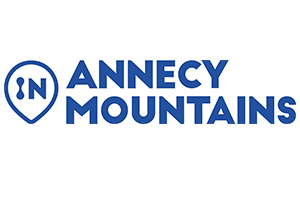 As part of the 75th anniversary celebrations we had a new team event to take part in, the day before the main downhill event. Read more here on 75th Celebrations. I had teamed up with my brother and two friends to make up our team of four. Being a mass start, based on the original Inferno format of years ago, we lined up side by side at the top of the course. Sadly this was only at Almendhubel as heavy snow and ongoing wind forced the organisers to choose a lower start point. As the wooden board dropped away below our skis, we pushed out of the start gate with our team strategy in place. Tuck in behind each other, send the fast ones first – one ex army para who is a super fit cross – country marathon skier, my brother, ex-army ski racer, then me and finally a friend and Kandahar Ski Club member Alex. The course sent us up the ‘woodcutters’ path – an uphill section which also features in the main Inferno event. The distance between our first two team-mates and Alex and I grew with each uphill strained movement! No sooner had we reached the end of the long climb, we were careering around the corner past the chairlift and on to the ‘Palace Run’ back to Murren village centre. Not everyone made it safely around these corners! With my team safely down, our individual times were too different to break in to the top 100 teams, but we were far from the slowest! Excitement levels rose when the organisers announced a break in the weather, enabling the Inferno downhill start to be moved up to Birg, still a way below the usual Schilthorn start but long enough to give more than a 3 minute race. Our friends the German team ‘Racing Team Blitztal’ were found waxing their skis in the workshop close to our hotel – the Germans spending 4 hours on their skis and apparently adding an extra layer for the fast schuss along the upper section. I left my team in charge of my skis requesting just a bit of wax if time! Four hours later, the winds had picked up and once again the start for the 2018 75th Inferno was moved back down to the lower start at the top of the Almendhubel funicular lift with the finish to be in Murren. 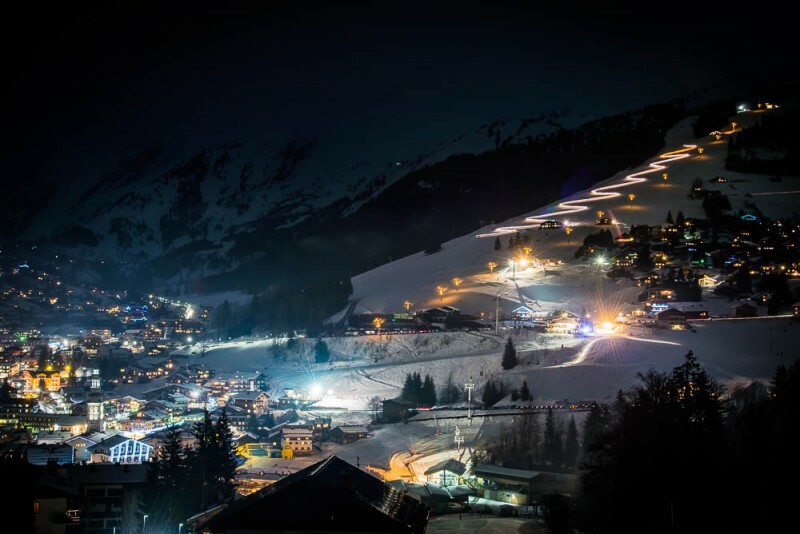 As Christoph Egger, Race Director, pointed out – despite being a short course it is still longer than the longest FIS race plus, to give an extra twist, a small jump was placed just above the village centre finish. The Germans were back in the workshop reapplying different wax, whatsapp messages were flying around my groups of participating friends as to whether a GS ski or a Super G ski would be more beneficial for this short course. The customary burning of the devil took place. It is said to ward off any bad spirits the night before the main Inferno race event, and still it carried on snowing. Race day, it was still snowing on and off and heavy winds picked up as the day progressed, confirming the right decision to move the start down by the race organisers. 1705 skiers participated this year, the fastest, Marcel Fassler, coming down at number 525 in 2 mins 46 seconds and with the jump just before a fast left bend in to the finish there was certainly some added excitement to the otherwise short, fast course. The route was running faster than the team event, I even knocked off over a minute off my time to earn a ‘bronze’ in my category and the 3rd fastest GB female in my category. So with two races under my belt, it’s on to the third race in Saas Fee, the “Allalin-Rennen” in March. I’m wondering what will come next…?